Emus and kangaroo, White Cliffs, NSW. You are here: Home › Products › Photographs › Animals › Green Nomads › Long Gallery 2016 › Emus and kangaroo, White Cliffs, NSW. 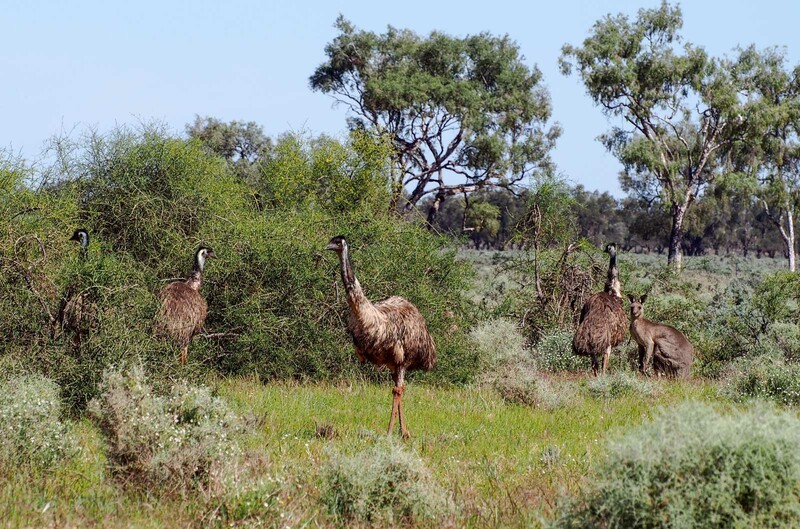 …and, along the road a gaggle of emus feasted on a roadside native berry bush as a kangaroo watched on.